Is an Android Fragmentation Solution In Reach? Android TV's growing success in the STB market also indicates a potential android fragmentation solution that may address the patchwork nature of the format. The growing impact of Android TV has been one of the surprise themes of the year. Current projections have nearly 30% of STBs being powered by the OS by 2021, and we ourselves have been involved in several projects with more to come, securing Wibox’s Android TV 4K offer in France and the Orange Android TV 4K offer in Spain, and partnering with Hong Kong developer RedSo to help simplify OTT delivery to the increasing number of boxes. As we wrote earlier this year, Android TV has comparatively recently added a new Operator Tier to its architecture, giving Operators the flexibility to build and tailor their own user experience to run on top of the open source Android framework. It has some downsides compared to a completely bespoke solution, but that is balanced by being both remarkably cost-effective and quick to market. However, for all its recent successes with Android TV, the mainstream Google-backed operating system still has one major flaw when it comes to rolling out new services and software and that is the persistent problem of Android fragmentation. And, as is often the case, it is normally when Apple releases a new OS that we get to see quite how bad the issue is. According to the latest data gathered by Gartner, Apple is a comparative minnow compared to Android. Of the 383 million smartphones shipped in the first quarter of 2018, 85.9% of them were Android units, 14.1% were Apple. What is, of course, different is that all the Apple units were made and sold by the Cupertino-based company itself. Apple controls the entire ecosystem, which is of enormous benefit when it comes to rolling out the latest versions of its operating system. iOS12 was released on September 17, 2018. By October 10, a little over three weeks later, over 50% of all Apple devices, and 53% of ones under four years old, were running the new software. Given that there are somewhere over 1.3 billion Apple devices around the world, that’s an impressive feat. And it’s not one that Android, which has at least twice that many according to most estimates, can even begin to get close to. 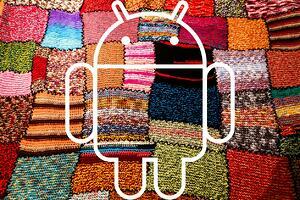 The latest version of Android, 9.0 and given the nickname Pie, was released on August 6, 2018. The chart below was generated over a seven day period that ended on September 28 and, as you can see, it’s not on there. This is because any version of Android with less than 0.1% distribution is not shown. Pie was only initially available on a handful of phones, including Google’s own Pixel, which goes some way towards explaining its complete lack of impact on the market. However, an analysis of Android OS distribution over time reveals some interesting statistics. 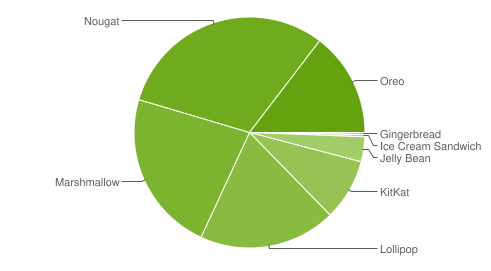 Is Android Fragmentation Starting to Improve? Stepping through the Android developer dashboards on the Wayback Machine reveals exactly how bad the distribution of new versions of Android got, as well as offering a hint that the situation might be getting better. As the chart below shows, the situation has been getting worse since 2014’s release of Android Lollipop (5.x). 13 months after release, that was installed on 29.5% of active devices. Its successor, Marshmallow (6.0x) released in 2015 achieved a penetration of only 24% in the same timeframe, while Nougat (7.0 in 2016) could only muster 15.8%. By comparison, while being a long way short of Apple’s figure, Oreo released in August 2017 featured on a far more healthy 19.2% of devices. The uptick is most welcome, though it seems to be at the expense of the very early adopter. Both Pie and Oreo failed to be on more than 0.1% of phones within a month, while Nougat and Marshmallow both achieved 0.4% and 0.5% respectively. Quite why the reversal has taken place is unknown, but a likely candidate is the roll out of Project Treble. From Oreo onwards this has simplified the process of updating the Android OS by separating out the low level software relating to the phone’s hardware, thereby allowing OS updates to effectively just roll on over the top of them, with the Apps floating on top of that. Three layers = treble. In many ways, it’s a similar process to what Google has managed to do with Android TV in creating the Operator Tier. There, it has led to increased interest in the system — and in May 2018, Google revealed that the number of Android TV users had doubled in the past year. Here the separation of layers is designed to speed up the distribution of updated operating systems. Google reckons that Treble will shave three months off the upgrade process. So, given that Samsung, which has 20% of the current Android market and is thus the largest phone manufacturer in the world at the moment, took eight months to release Oreo onto its flagship phones, by rights that should mean that Pie will begin to appear on its devices before the end of the year. We will know more about how well Project Treble has succeeded when Pie has been out in the wild for over a year. 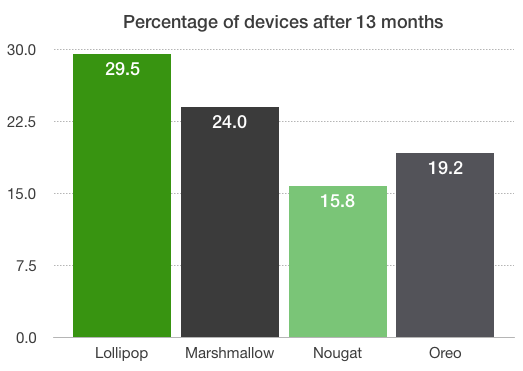 Currently 2016’s Nougat is the most popular Android operating system, appearing on 29.3% of devices. There is though further cause for optimism amongst Operators trying to get their video content onto smartphones, which lies in the uneven way that the different versions of Android are distributed across phones, with power users far more likely to update to the latest system. With iOS 12, Apple included a new feature in the shape of automatic OS downloads and updates to its devices. If anything that will make the velocity with which OS updates disseminate throughout the global Apple ecosystem even more impressive. It is to early to say if Project Treble can be judged a success or not, and possibly even unfair to assess it on a single new version of the Android operating system. Nevertheless, Oreo has appeared on more devices in the same timeframe than was seen during the nadir of Nougat, so there is cause for optimism. It will be interesting to see if it manages to maintain the same percentage point lead over its former incarnation as the roll out progresses, and *very* interesting to chart the progress of Pie and the speed of its own rollout across the different OEMs. The surge of interest in Android TV indicates that Google can turn software around. Android STB deployment jumped from 4 Operators in 2015 to 10 in 2016 and 27 in 2017. With this year’s figures still to come, those are expected to rise again and rise significantly. Operators trying to work out how to ensure their content plays reliably on the galaxy of different devices under the Android banner can, of course, always turn to experts like VO who are used to dealing with the problems of fragmentation. 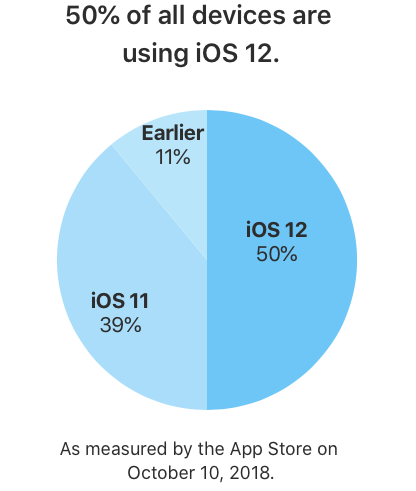 Indeed, it is likely to always be an issue at some level, especially when measured up against the iOS ecosystem. But with the push of Treble and the pull of new software and apps, such as Fortnite, that demand higher performance from their devices and reward the timely installation of newer operating systems, it may become less of a worry. 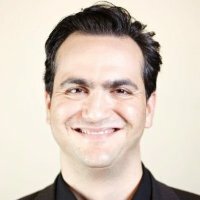 Mounir Toutah is Director of Presales for Viaccess-Orca. Mounir has 24 years of experience in product management, program management, business consulting in platforms and applications for telecom platforms, network operations and video solutions. Prior to VO, he worked with companies including Alcatel-Lucent, Orange, Nagra, Globecast, France Télévisions, Huawei and Disney. Mounir successfully launched telecom & media products and services. Mounir has been as well lecturer at Telecom SudParis engineering school. Mounir holds a Master of Science in Computer Science from Ecole Nationale des Sciences Informatiques et Mathématiques Appliquées de Grenoble (ENSIMAG), a post master degree in general management from ESSEC Business School, and a post master degree in marketing at INSEAD.